If you have been searching for unique baby gifts for twins or gifts for an expectant mom of twins, you have come to the right place. 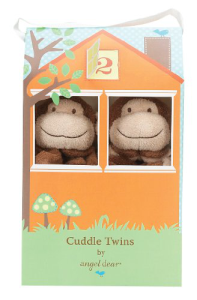 We have put together a fabulous list of baby gifts for twins and great twin gift ideas from around the web for you to browse through. 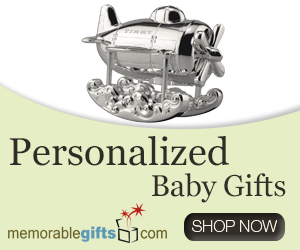 This is a great way to get ideas or discover the perfect gift for the twins in your life. Whether you need a twin baby shower gift, twins birthday gift, or just something to say congratulations, there are items in every price range. Many of the items listed here are from our sister site, Trend In Twos™, because of it's exclusive focus on twins and their families. Simply click on the picture of the twin gift you are interested in to see where to buy and/or get more information. 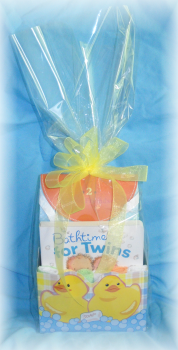 Twin gift baskets and boxed sets are truly ideal when it comes to unique baby gifts for twins. This one, shown on the right, has a gender neutral, "Two Peas in a Pod" theme. Perfect for a twin baby shower, twin birthday or to bring to the hospital for the new babies and proud parents. 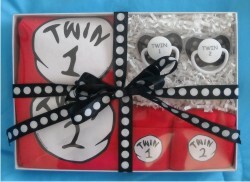 There are some really sweet twin specific gift baskets available in a variety of sizes and price ranges at our sister-site, Trends In Twos™ (www.trendsintwos.com). They are made for two girls, two boys, gender neutral, or boy/girl twins. It's nice to be able to give something that has really been made for twin babies and not a gift basket that has just been stuffed with twice the singleton items. Starting at around $30.00 and most ship FREE. A steal when you have to buy for two! 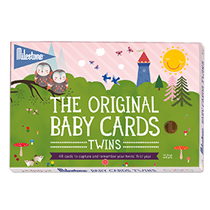 We absolutely LOVE the Original Baby Cards for Twins! These 48 photo cards come in a keepsake box. They allow parents to take fun photos of all the special milestones in their twins lives. The set includes cards for each month like, "Today We Are 1 Month", etc. It also has cards for other moments like "Today We Smiled at Eachother". Parents will enjoy having this unique way to track their twins' milestone moments. This is definitely a gift that keeps on giving! Soft, snuggly, and sure to become keepsakes, the Cuddle Twins blankets will be memorable as baby gifts for twins. Featuring a super soft blanket for each child to cuddle and play with. Blankets come in your choice of animals from monkeys to horses in a variety of subtle colors. Adorably packaged in a reusable box with a sweet sentiment about twins written on the back and two little windows on the front. It just doesn't get any cuter than this! Looking for something a little different as a twin baby gift? A Twin Swim/Pool Float is a novel idea! A fun way to introduce the joy of water to little ones who can't yet swim. So handy for getting twins into the water at the same time with one or both parents. Great for vacations or those who are lucky enough to have their own pool. With the right timing, you could give this as a gift to twins born in the fall or winter, so they would be ready to use it the following summer. Most parents would be delighted with this as a gift for twins! This would be a very special gift for the new mom of twins. These one-of-a-kind scrabble tile necklaces are made on demand and personalized with the names and birth dates of twins. Featuring exclusive hand drawn graphics with two hearts and a banner that says "Mom of Twins" in a cool tattoo style print. Also adorned with two tiny glass heart beads. Arrives gift boxed. Trends In Twos™ has some really fun expressions for your twins' pacifiers. We think this is the best way to solve the confusion between who's is who's as well. 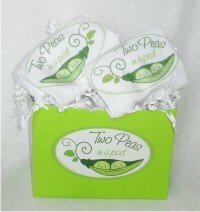 They are great to add to an existing gift basket, to diaper cakes, or just as a simple, affordable twin baby gift when you want to give something small. Everyone will get a kick out of the humorous expressions like, "Yes, we're TWINS! ", "Stop Copying Me" and "Monkey See/Monkey Do" just to name a few. At around 14 bucks for a set it doesn't get more budget friendly than this! If your looking for a twist on the original Dr. Seuss Thing 1 and Thing 2 characters, take a look at this fun set featuring Twin 1 and Twin 2. These are always a crowd pleaser and sure to cause a conversation. Once again, Trends In Twos™ carries these exclusive gift sets! Cotton one-pieces and hats available in infant sizes with pacifiers to match in the set shown, but separates are also available if you want to create your own gift. If you're in need of baby gifts for twins or have twins yourself, you definitely need to check out Frecklebox.com. 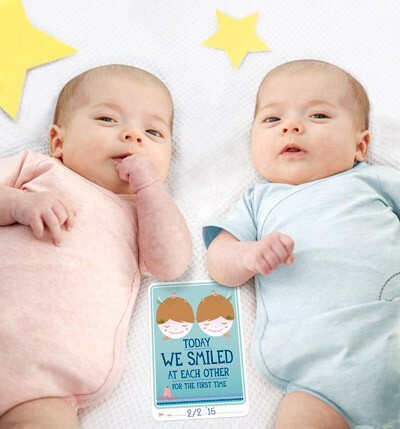 They offer some really cool, personalized items that work perfectly for twins. From personalized "name" books to coloring books and even posters and puzzles! This is one of the simplest ways to give a memorable gift to each twin while keeping them individual as well.